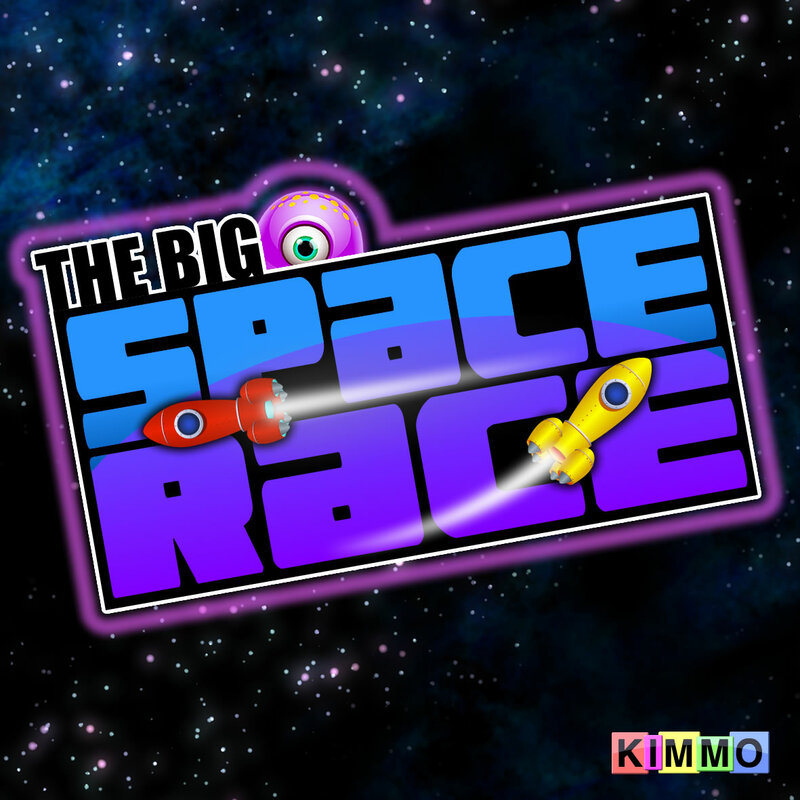 Fasten your safety belts and engage thrusters for the latest version of KIMMO’S BIG RACE! 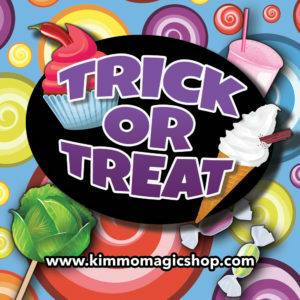 It’s the fun and exciting game that is also a trick! The kids go crazy for this one and the adults are left scratching their heads and wondering how on earth it’s done! A child takes on three adults in a retro, sci-fi themed race game. Despite what seems like totally fair conditions, the child wins every time! 24 ‘Planetoid Cards’ are handed out to be FREELY AND GENUINELY SHUFFLED by spectators. Meanwhile, a child is recruited as a ‘Space Cadet’ and is told that he/she must race against three adults. There is fun and byplay as the rivals are chosen and encouraged to ‘trash talk’ the young volunteer. The adults get to choose their favourite colour spacecraft (there is no force whatsoever). The child must take whichever colour is left. The planetoid cards are retrieved and then the BIG SPACE RACE begins! One by one, cards are taken from the top of the stack and turned over to reveal the colour of the rocket which will move along the track. 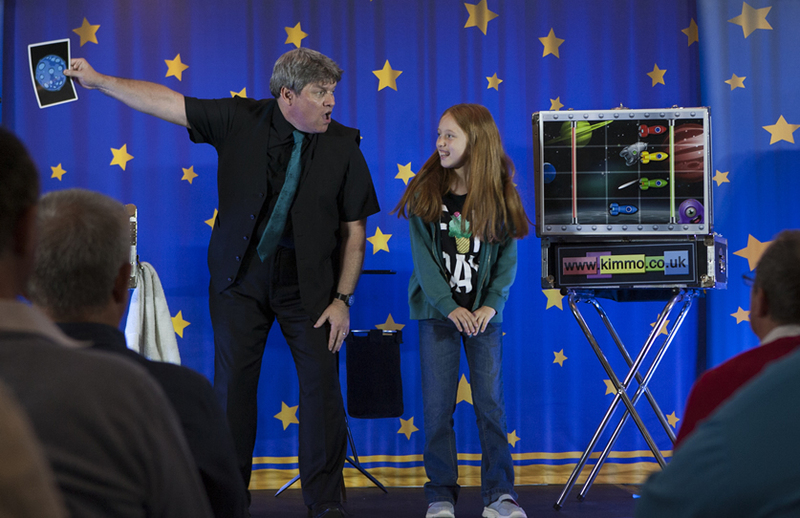 The audience are encouraged to cheer the child’s spacecraft. The race gets very exciting and the children raise the roof in response. It looks like the child’s rocket is lagging behind but then suddenly it jumps forward and catches up. Maybe a photo finish will be required! Everything rests on the turn of one card! Imagine the reactions from the crowd when the final card is spun round to reveal the child is the winner! 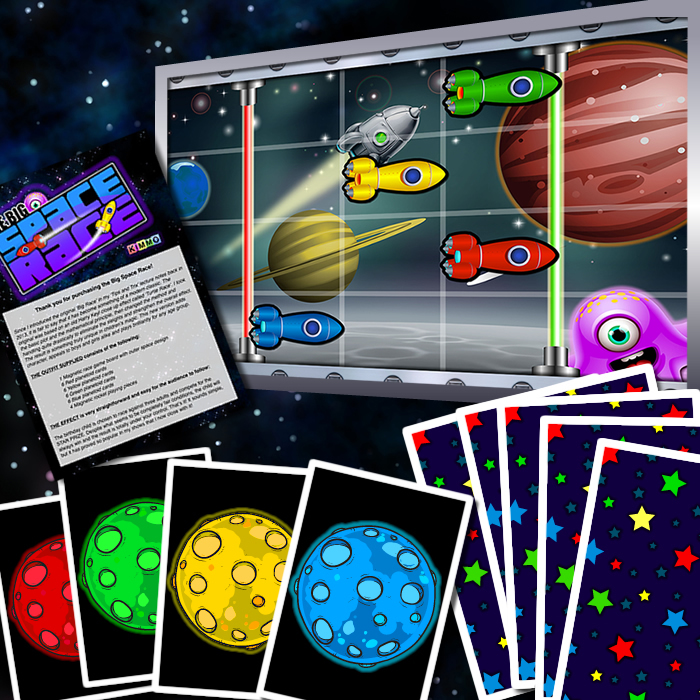 SUPPLIED COMPLETE: 60 x40cm Magnetic Race Board, 24 A5 size laminated Planetoid Cards, 4 Laser Cut Acrylic Playing Pieces and full colour instructions. THIS TRICK WAS A COMPLETE SELL OUT AT TRIX IN THE STIX 4!